What’s on the industry’s mind? Security and mobility are front-and-center of the cerebral cortex, as two of the year’s most important events prepare to kick off. At the RSA Conference 2017 (February 13-17 in San Francisco), expect to see the best of the security industry, from solutions providers to technology firms to analysts. RSA can’t come too soon. Ransomware, which exploded into the public’s mind last year with high-profile incidents, continues to run rampant. Attackers are turning to ever-bigger targets, with ever-bigger fallout. It’s not enough that hospitals are still being crippled (this was big in 2016), but hotel guests are locked out of their rooms, police departments are losing important crime evidence, and even CCTV footage has been locked away. What makes ransomware work? Human weakness, for the most part. Many successful ransomware attacks begin with either generalized phishing or highly sophisticated and targeted spearphishing. Once the target user has clicked on a link in a malicious email or website, odds are good that his/her computer will be infected. From there, the malware can do more than encrypt data and request a payout. It can also spread to other computers on the network, install spyware, search for unpatched vulnerabilities and cause untold havoc. Expect to hear a lot about increasingly sophisticated ransomware at RSA. We’ll see solutions to help, ranging from ever-more-sophisticated email scanners, endpoint security tools, isolation platforms and tools to prevent malware from spreading beyond the initially affected machine. Also expect to hear plenty about artificial intelligence as the key to preventing and detecting attacks that evade traditional technologies like signatures. AI has the ability to learn and respond in ways that go far beyond anything that humans can do – and when coupled with increasingly sophisticated threat intelligence systems, AI may be the future of computer security. 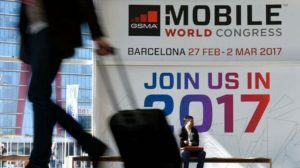 Halfway around the world, mobility is only part of the story at Mobile World Congress (February 27 – March 2 in Barcelona). 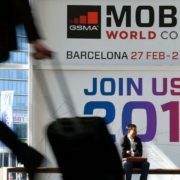 There will be many sessions about 5G wireless, which can provision not only traditional mobile users, but also industrial controls and the Internet of Things. AT&T recently announced that it will launch 5G service (with peak speeds of 400Mbps or better) in two American cities, Austin and Indianapolis. While the standards are not yet complete, that’s not stopping carriers and the industry from moving ahead. Also key to the success of all mobile platforms is cloud computing. Microsoft is moving more aggressively to the cloud, going beyond Azure and Office 365 with a new Windows 10 Cloud edition, a simplified experience designed to compete against Google’s Chrome platform. The Internet of Things is also roaring to life, and it means a lot more than fitness bands and traffic sensors. IoT applications are showing up in everything from industrial controls to embedded medical devices to increasingly intelligent cars and trucks. What makes it work? Big batteries, reliable wireless, industry standards and strong security. Every type of security player is involved with IoT, from the cloud to wireless to endpoint protection. You’ll hear more about security at Mobile World Congress than in the past, because the threats are bigger than ever. And so are the solutions.